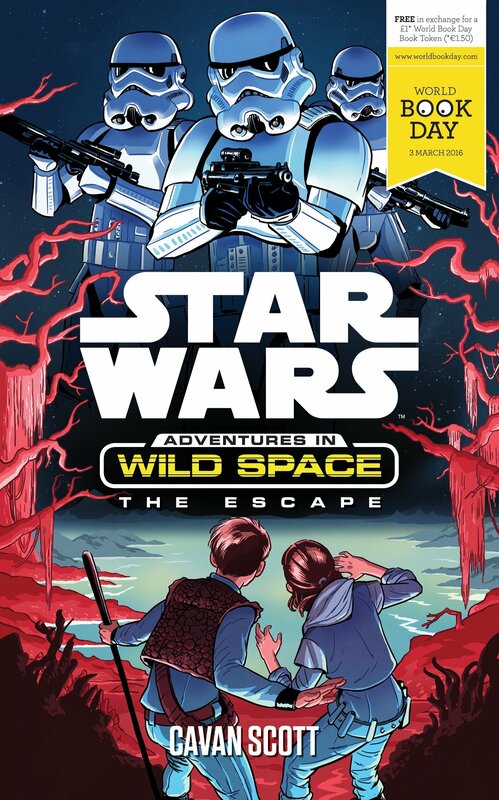 Under the banner of Adventures In Wild Space, Egmont have crafted a tale following the Graf family, a mother, father, daughter, son team of galactic mappers. Touring Wild Space for the past fifteen years the family have expanded, and grown on their ship whilst charting planets, animals, and plants they encounter along the way. Writer Cavan Scott, who readers may be familiar with from his work on Doctor Who, tells the tale of Milo and Lina Graf, separated from their parents whilst adventuring a new world. The family hold the Empire in rather high regard with Milo keen to join the Imperial Survey Corps, and having spend so long in Wild Space, they are largely unaware of events in the Core Worlds. There is a lot of fun injected into the characters spirit and language and there is a wonderful sibling rivalry between Milo and Lina. Particularly entertaining are the “backup” characters, Morq a Kowakian monkey lizard who becomes a physical manifestation of the children’s emotions, and CR-8R (“Crater”) a part probe droid / part medical droid with the personality of a protocol droid. He plays the perfect counter to the erratic behaviour of the children and acts somewhat as a parent / conscious to them. With this prequel to the main series, we are given an introduction to the main players in the series plot over 96 pages. The book is available for £1.00 from retailers participating in the World Book Day initiative. A scheme designed to encourage young people to read. Children may also receive through their schools a voucher meaning they can pick the book up for free! The story in this prequel is straightforward with little complication. It serves as a gentle introduction to the characters, and it excels at making you feel attached to them. Scott has worked hard to capture detailed character in each player in the book, and it calls out for further exploration – a perfect tease for the wider series. We are given a quick introduction to how the characters feel, think and interact as the story moves forward, whilst also tipping a hat to the history of the family, the odd lifestyle they live, and touches quite beautifully on the wider galaxy implications. I appreciated seeing the story develop from the eyes of “normal” citizens of the galaxy, living in the shadow of the Empire and largely being ignorant to the wider problems the galaxy was facing. It was also fun to see creatures, aliens, and events from the rest of the canon popping up in unexpected ways. I grew fond of Morq very very quickly. I also appreciated the humour injected into the tale and feel that young readers will thoroughly enjoy the adventure they about to embark. 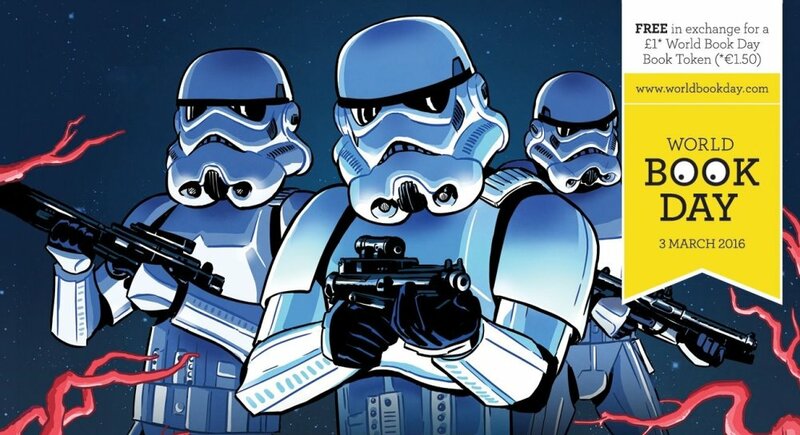 As the prequel book draws to a close, the Graff parents are taken by the Imperial Captain Korda and his stormtroopers to serve the Empire – with them believing the children to have been killed. It is thus up to the children to search and rescue their parents which tees up beautifully an adventure from the eyes of our two young heroes which I am sure will delight the target readership of ages eight and up. It would be remiss of me to not mention the delightful illustrations in the book from David Buisan. They capture perfectly key moments throughout the book. His ink work was superb, and the holo projector images were a particular joy. The series has been setup for a fun ride, with unique and delightful characters with a galaxy of potential ahead of them. It is also particularly refreshing to have a Star Wars series with entirely new characters, and I can’t wait to sit down the rest of the series. Thanks to Egmont for supplying a copy of The Escape for this review.